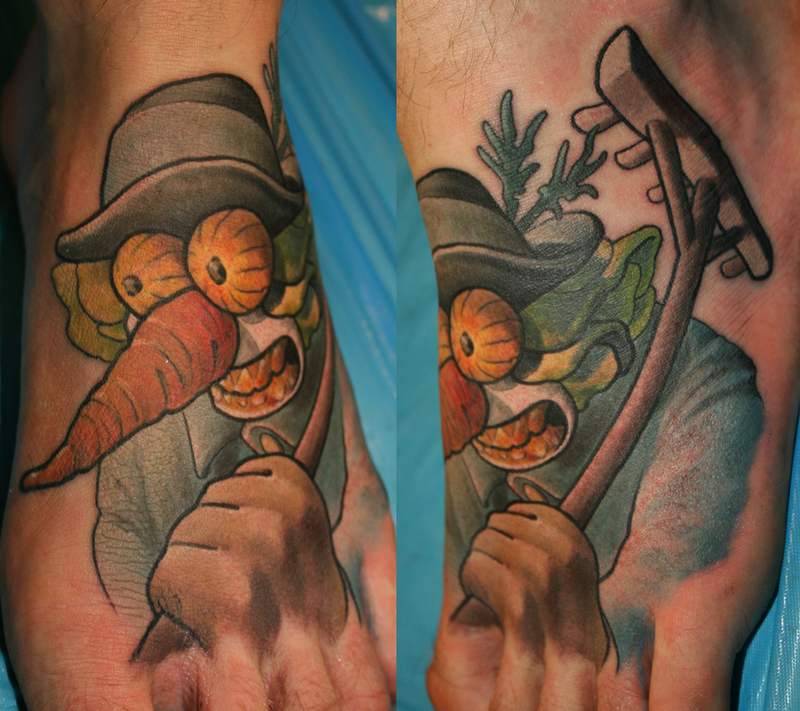 Tattoo Blog » Meet Emil Edge! Tattoo Blog » Inspired » Meet Emil Edge! The Swedes continue to invade the tattoo world. The weirdest thing keeps happening to me lately where I’m seeing the work of tattooist, then looking more into who that tattooist is and finding out that they are Swedish. Again and again it happens. I don’t want to give the impression that I’m favouring the Swedes over everyone else out there, slaving away in their shops. Oh well, when all is said and done, it doesn’t matter where someone comes from. It’s their work and only their work that truly matters. Right? Right. When I was a kid, there used to be this arcade game called Dragon’s Lair. It was unlike any of the other video games in the arcade because it was literally a cartoon that you could control. It pretty much blew my ten-year-old mind and even though the game itself wasn’t that great, I was incredibly drawn to the game’s animation. I hadn’t thought about that game or its crazy cool animated graphics for years. And then, I saw the tattoo work of Emil Edge and I was instantly reminded of the Dragon’s Lair animation style all over again. I love the fact that Edge’s work also retains a kind of creepy three dimensional aspect to it – something that works especially well with skulls and creepy little dudes with skinny fingers. That’s what I think, anyway. Edge has been tattooing since 2004 which obviously isn’t that long, yet it’s apparently been long enough for him to come up with his own particular style. Between 2006 and 2008, Edge was running a shop called Dedication Ink, but these days he can be found at Fisheye Ink in Karlstad, Sweden. Check out more of the tattoo work of Emil Edge here!